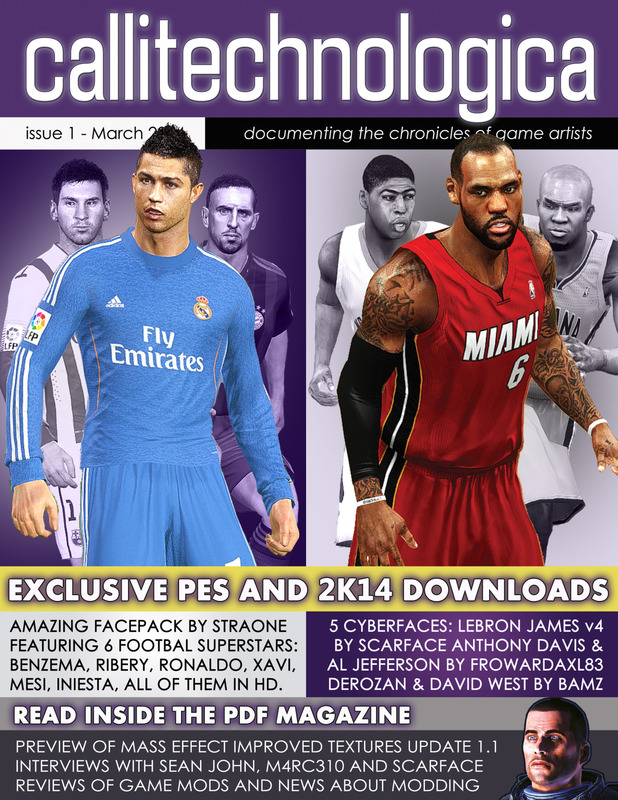 Callitechnologica is a free pdf magazine that will feature exclusive downloads and articles about game art and game modding. The first issue will be available on the 6th of March. Download Callitechnologica 1 Preview - exclusive PES faces. This is a mod for Pro Evolution Soccer 2014 video game.